Can Advocacy Take a Vacation? The medical system in the United States is changing and I really wonder what the next years will bring for those of us with diabetes…. And before I know it, I will be on Medicare with a new set of rules that will save me lots of money in some areas, but will try to dictate that I live with 3 test strips a day and throw away my CGM because it is not proven technology. Nothing in that statement has changed since 2013. My Medicare worries used to be about lack of CGM coverage. In mid-2015 I know people with diabetes on Medicare who are no longer able to obtain test strips for name-brand BG meters. I know several women with Type 1 who have had difficulty getting pump supplies on a timely basis. Finding a provider for Part B insulin for pumps continues to be a common difficulty. Today I am about 20 months away from the transition to Medicare. It is too soon to evaluate my choices about Supplemental and Advantage plans. It is too soon to start hoarding Dexcom sensors and Freestyle test strips because of limited expiration dates. I am trying to purchase pump supplies on a timely basis, but it seems unwise to stock too many supplies because I will be buying a new pump in the fall of 2016. My hope is to hang on as an active blogger in order to chronicle the journey of moving from a lifetime of excellent private insurance to the scary unknowns of Medicare. I am proud of what has been accomplished at Test Guess and Go by my writing and that of Sue from Pennsylvania and Sue from New York. I don’t want to see Test Guess and Go fade into oblivion. Lately I have felt guilty that by not writing and actively engaging in diabetes social media that I am not doing “my job.” I am failing in my public persona as a diabetes advocate. I know that I am being too hard on myself and that starting a blog is not a life contract to do it forever. I have followed through with every email from JDRF urging me to contact my elected representatives on diabetes-centric legislation. I participated in the campaign for the Special Diabetes Program which was successfully renewed for two years in April with $150 million allocated for diabetes research. I have contacted my Senators and House Representative to support S. 804: Medicare CGM Access Act of 2015 and H.R. 1427: Medicare CGM Access Act of 2015. Like many people I have been frustrated that this is the 3rd generation of these bills and they are still rated by GovTrack as having 0-1% chance of being enacted. Even if you contacted your elected representatives for the 2013 and 2014 bills, please do it again for the bills of the current legislative session. Remember that Medicare policy trickles down to all insurance and even if you are not age 65, this coverage is crucial for people of all ages with diabetes. It is super easy to do if you go to the JDRF CGM Coverage by Medicare page. I have joined DPAC (Diabetes Patient Advocacy Coalition). DPAC was co-founded by Bennet Dunlap and Christel Marchand Aprigliano. The purpose of the organization is to unify and streamline diabetes advocacy and make it easy for each one of us to have our voice heard by U.S. decision makers. 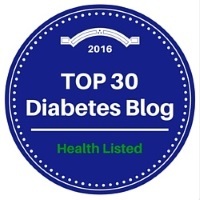 If you are not yet a member of this group, please read this blogpost by Christel at theperfectD and this post by Sue at Diabetes Ramblings. Then follow the links to join DPAC. I was fairly active through the first half of 2015 and advocated for DOC programs such as Spare a Rose, Save a Child. I attended the Unconference and generally immersed myself in diabetes stuff. After writing but not publishing this post, I wrote a blogpost to my daughters-in-law urging them to learn the symptoms of Type 1 diabetes and share the stories of Kycie and David, two young children who recently lost their lives as a result of Type 1 diabetes. I have rarely used my blog to educate and encourage others to advocate for important diabetes issues. I have continued to read every blog in my blogroll, but in recent months I have left few comments and feel bad about that. Many times I have started a comment and then deleted it after becoming lazy and paralyzed in my thoughts halfway through. I have been mostly absent from Twitter and #DSMA and #DCDE TweetChats. Obviously it’s not a requirement to participate in things like this, but it is a sign of support to others in the DOC. In general I am not a huge Twitter person and I may start using my age as an excuse to maintain a minimal Twitter presence. I stayed on the sidelines for the CrossFit issue. On one hand that is good because I didn’t say something stupid and insensitive. On the other hand, I didn’t rush to support the heartfelt posts of my Type 2 friends including Kate Cornell, Sue Rericha and Bea Sparks. A “Like” on Facebook isn’t a sufficient response to seeing wounds of blame, shame, and anger re-opened in the diabetes community. For now I am on summer vacation. I’m not mad or sad. You don’t need to comment and tell me how wonderful I am or give me permission to be a bum. I’m just tired of writing and being overly immersed in diabetes social media and I don’t want to feel guilty about that. I’m still reading blogs and keeping up with Facebook. I’m supporting my friends doing runs and bike rides to raise money for diabetes. I’m still here and for better or worse, I still have diabetes. Fortunately my blogging malaise has not been accompanied by personal burn-out. My diabetes is difficult these days, but I get up every morning with the optimism that I’ll do better today than yesterday with blood sugars. I’ve ordered a mysugr T-shirt and will wear it proudly while battling my D-monster “Glukomutant.” I’ve been walking a ton (#Fitbit) and working with a personal trainer. I’ve cleaned closets, played golf, read a lot of books, and done some much-needed yard work. I’ve been super-Grandma and spent a lot of time with my four grandchildren. See you later, alligator. In a while, crocodile. You have never known me without Type 1 diabetes because I was diagnosed before you were born and certainly before you married my sons. You may have seen me test my blood sugar and push buttons on my pump to take an insulin dose. You have never seen me incapacitated or ill as a result of diabetes and it is possible that you come away from my story without understanding how serious and deadly Type 1 diabetes can be. Very naively I never worried that your husbands/my sons would get Type 1 and so far they haven’t. I pray that your children/my grandchildren never get diabetes, but if they do, you will manage and they will be fine. Today I have information that I want you to share with you. Last weekend, two young children died because of Type 1 Diabetes. These were not children without access to medical care. They could have been your child or your neighbor’s child. One of these children was incorrectly diagnosed by her doctor. A simple blood test with a $1 test strip or a urine dipstick test could have diagnosed Type 1 diabetes in 5 seconds and saved her life. The second child was diagnosed correctly in the emergency room. Despite state-of-the-art medical care, he died a few days later. Five-year old Kycie became ill one Sunday in late January, 2015. Initially her parents thought she had the flu and a Wednesday visit to the child’s doctor resulted in antibiotics for strep throat. She went to the doctor again on Friday and to the ER that afternoon. A series of seizures resulted in extensive brain damage. Tens of thousands of people followed Kycie’s story on Facebook as she and her family battled for 6 months to save her life. On Saturday, July 11, Kycie passed away at home in the arms of her parents. A shorter story, but just as heartbreaking, is that of David Michael Brown who died in a pediatric ICU at age four last Sunday, July 12. David became ill midweek with what appeared to be the flu. When his symptoms became more severe, his parents took him to the ER where he was correctly diagnosed with Type 1 diabetes. Intensive medical care could not save his life and within a few days, David lost his battle with diabetic ketoacidosis as a result of multiple organ failure. My wonderful daughters-in-law — although your children are at a somewhat higher risk of getting Type 1 diabetes because of my diabetes, most diagnoses are of children and adults with no family history. The causes of the autoimmune beta cell destruction resulting in Type 1 diabetes are not known. For unknown reasons the incidence of Type 1 is increasing worldwide. Although this post highlights the stories of two children, please remember that Type 1 diabetes can strike at any age from infants to senior citizens and these symptoms should not be ignored in adults. Share this message with your friends, family, and acquaintances. Educate your schools and daycare. Print out the free poster from the Test One Drop website and ask your pediatrician whether they test the blood sugar of children at well-child visits and whenever they have flu-like symptoms. Although there is nothing easy about living with Type 1 diabetes, I am one of many people who illustrates that you can have a wonderful life with and despite diabetes. You, my sons, and your children are proof of that. Throughout my 38 years of Type 1, I have seen incredible improvements in insulin and technology that make living with this condition more manageable. Two things have not changed. Type 1 diabetes is a death sentence if it is not diagnosed. And even with proper medical care, Type 1 diabetes is a serious and life-threatening illness. Please note that this blogpost was edited in November 2015 to reflect a correction in David Michael Brown’s story. My understanding from Facebook stories in July was that an incorrect diagnosis had led to a delay in care for David. That was not the case and he was diagnosed correctly. But even with appropriate and intensive medical care, David lost his life as a result of Type 1 diabetes. I have also updated the Test One Drop mission statement and displayed the current version of the free downloadable poster.